Brick Barbecue 29 – BBQ with the center panel and oven on the right and left side of the grill with countertop to put a dish, a dish or something you want. This grill is also the left side of a wash basin, to a wash dishes, fixtures or work. José Vigário Pereira is your manufacturer of refractory bricks bbq and traditional Portuguese wood ovens. 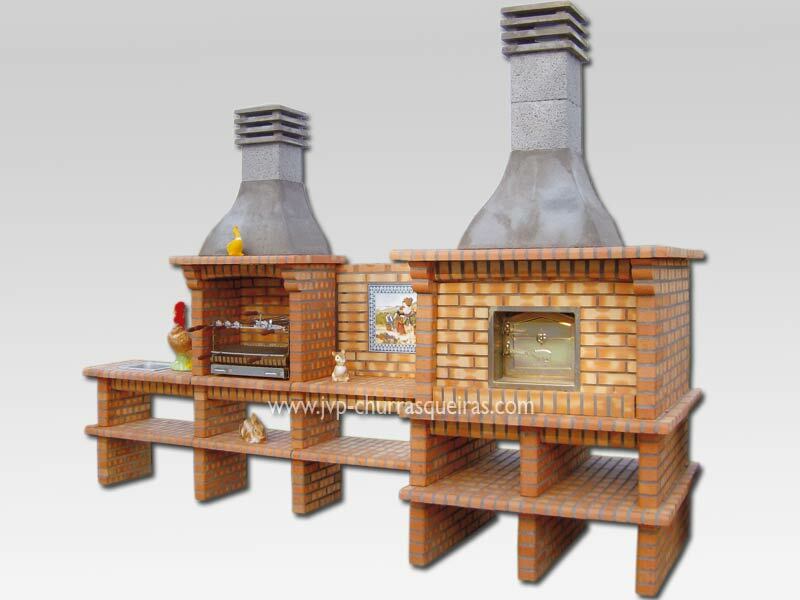 Manufacturer in Portugal of barbecues in bricks and traditional ovens. These products are made by hand. All the material is subject to strict quality control to allow the end product is the best possible quality. We can be proud to provide ovens and grills to all over the world with superior quality. Note: The products displayed on the site, may present very small color variations in compared to products of the same reference. The decorative accessories contained in the pictures are not included in the base version of the product. Find us these and other details in their contact.